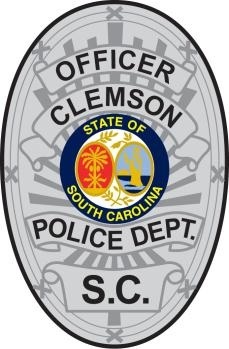 This form is provided for public use to file citizen complaints regarding noise, traffic problems, animal control issues, and other criminal activity that need to be registered or reported to the Clemson Police Department. NOTE: If you have a complaint about a specific member of the Police Department you MUST make that complaint by calling Chief Jimmy Dixon at 864-624-2006 to file your complaint. If you wish to remain anonymous, please type anonymous in this field. If you wish to remain anonymous, please enter clemsonpd@cityofclemson.org in this field. By Selecting the "I Certify" button below, I certify this information to be true to the best of my knowledge and I also understand that I can be held liable for any false or damaging information that I submit on this form. I also acknowldge that this form will send, to the Clemson Police Department, information that can allow detectives to track the origin of the message.